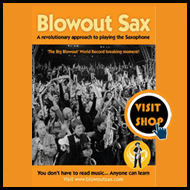 If you are lucky enough to have deep pockets and want to start with the very best saxophones read on…. Handcrafted in the birthplace of the sax, this is the ultimate saxophonists' dream machine. I am lucky enough to have one of each of the top models and I truly love them both equally, but differently. My alto is a Selmer-Paris Series II (see photo) which I bought to congratulate myself on managing to get a degree. I used a Peter Ponzol 007 mouthpiece and a leather ligature for 20 years and recently moved onto a Dave Guardala model King. My Selmer, brand spanking new in 1988, and with the stiff test of blowing 8 notes, was a quantum leap from the East European 'banger' I started with. 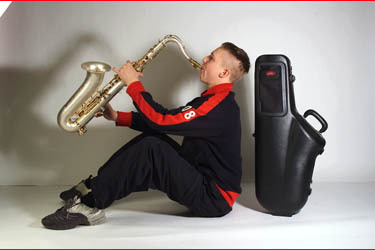 I would definitely say playing a sax of that majesty has helped me enormously to become a very good saxman. And so for the first seventeen years of playing sax I blew only the alto. And then I blew the legendary Mark VI tenor and we caught fire and I knew that sax and that sax knew me. And now I play it and this Mark VI is 'Magical'. 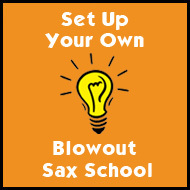 Berry Goddard, of Blowout Sax, has a 1929 Selmer tenor model 26, and uses a Lawton 8*B mouthpiece. The other top highly recommended types of Selmers are called, rather bizarrely, a 'Cigar Cutter'(top players either love them or hate them), 'Radio Improved' and the Selmer 'Balanced Action'(a vintage sax which is an ‘acquired taste.’) Others great Selmer Saxs are called Model 26 and Reference 54 and they all possess magical quality, it’s a question of finding out which one fits you. The price of a Mark VI vary between £3,500 up to over £6,000. 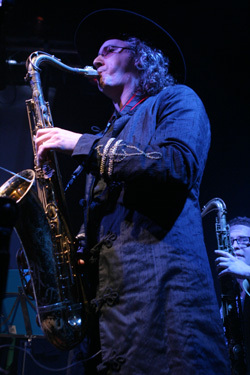 They can be found on www.sax.co.uk and Ebay. Or contact us and we can place you with private dealers. The Mark VI is so highly regarded as the most complete saxophone in terms of design and ergonomics as Selmer Paris got it right the freest sax ever created. Serial Numbers to help date the legendary Selmer Mark VI Saxs. The horns from 80,000 to 110,000 command the highest price tags but they say that there are killer horns out there with serial numbers from 110,000 to 220,000 (the "six digits"), There is no substitute for trying out as many horns as you can to see which one you like the best. There is nothing wrong with late model Mark VIs, I play a 1972 and the one I play is universally agreed to be a great horn. The later models just aren't as collectible as the older models because the values of VI's are linked to what series our musical heroes play or played, as well as speculations on consistency that are inexplicably borne out. Collectability aside, you can't go wrong if you find a good Mark VI of any vintage. Additional Serial numbers can be found Here. 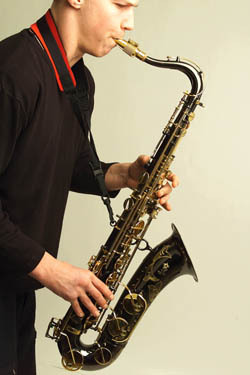 German, also produced in black and gold, as used by one of my original sax inspirations, Grover Washington Junior. The top number is SX90R. Needless to say, all the high-professional-end saxes are fabulous with good sensible German engineering and, in a very perfect world, ideal for learning to play. The high-numbers are the best of the Yamaha saxes. These are called Custom YTS 82Z or YTS 875, which top jazzman James Carter uses on all four of his saxes. It's an attractive sax, with a good weight and a slick mechanism. Alternatively the older Yamaha 62s come with an outstanding reputation. My son Oscar has one, allegedly it was owned an played by Davey Payne of Ian Dury’s Blockheads. Having played it on holiday it is an excellent free blowing instrument. (Ya- knee-giss-ah-wa... brave marketing move!) played by Plas Johnson, he of 'The Pink Panther' tune, and jazz saxman Greg Osby. The highest standard of saxophone with the vital element of individuality possessing light action and a clear open sound. The professional numbers are A991 and A992. 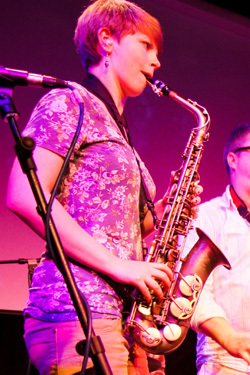 Berry plays a straight soprano, a Yanagisawa A991 with Yanigisawa mouthpiece. 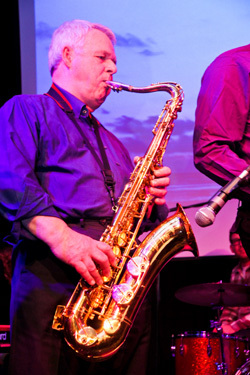 'I play a Yanagisawa T901 tenor saxophone (see photo below), lovely smooth and mellow notes particularly playing with an Otto Link metal mouthpiece. 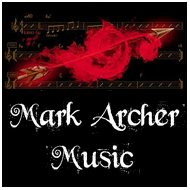 Mark has taught me how to change the pitch and tone by altering the reed I play with, sometimes playing with a plastic-coated reed to lose some of the mellow tones and increase some harshness to my sound'. "My Yanagisawa alto saxophone, mine is, I think, their A500 from around 1990. I also think this was about the time they marketed saxes in their own name. Prior to this era they made them for other brands. I offer the following info from a highly limited enthusiast. It plays well from the bottom to apex, with the keys feeling comfortable and in the right hands they operate smoothly.....the key here is the player...Its original owner was a fan of Charlie Parker and he rattled off some impressive runs in my presence before handing it over to me for good. I can't do this trick'. 'Soundwise it responds well to differing mouthpieces, and perhaps has a safe if ordinary quality...but again it is down to the player. It is thinner sounding than the Yamaha 62 for instance. Mechanically it was supposed to have been based on the Mk 6, and maybe Ray Colomb could verify that." 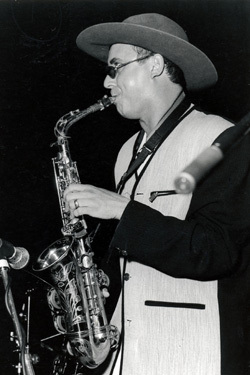 Blowout Sax’s Stan Scott, plays a Joe Lovano model Borgani tenor which he calls 'The Duchess'. 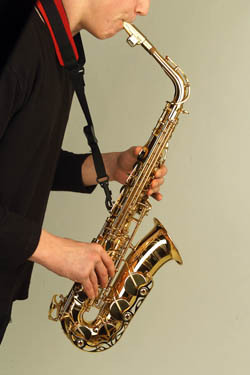 Borgani saxophones are produced by Orfeo Borgani and his small enthusiastic group of instrument artificers in Northern Italy, in a family firm that has been in business for over 135 years. Stan's Duchess has a pearl-silver finish, 24k gold keys and a slightly larger bore than your average tenor which gives her a tone of marked warmth and depth. She has the voice of a beautiful and sophisticated woman of mature years. She is not a young musician’s playmate. The Mauriat modelling of vintage horns harks back to the saxophones glory years, but with all the advantages of a new horn (improved materials, actions and reliability. 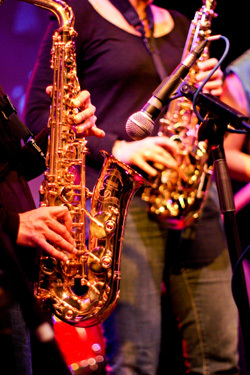 It has a good rich tone for any sax player and there is an appreciation of the action too. The final issue is the reduced price of a P.Mauriat sax, especially when comparing them to more expensive and better known brands. "After playing a Yamaha YAS-25 for 10 years I was looking for something a bit special for my next sax, a sax that I could go all the way with, something that could stand the test of time and take my playing to a new level. Having played many of the top student and low-end professional horns (and some incredible one-off and vintage horns) in various music shops the Mauriat range kept me coming back. Budget was as always an issue but not as big an issue as getting the right horn for me. The current range of new Selmers left me cold despite their finish and superfast actions, the top end Yamahas and Yanagisawas again had superb actions but a thin almost sickly sweet sound lacking in guts and tone. The Mauriats modelling of vintage horns harks back to the saxophone's glory years, but with all the advantages of a new horn (improved materials, actions and reliability). You often hear of guitar players finding an axe that needs taming, I felt this the first time I played the un-lacquered 67 Mauriat, it had more depth and tone than I had encountered on anything other than the vintage Conn and Selmer MK6 horns I had auditioned (without the price tag or constant need for servicing of these legendary saxes). A year on and a lot of playing later I'm starting to master this beast, developing a tone and richness I have always aspired to. Any serious player will appreciate the action, finish, sound and price of a P.Mauriat sax, especially when comparing them to more expensive and better known brands."